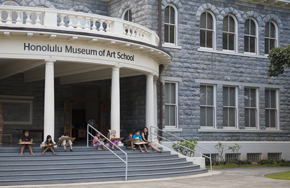 The Honolulu Museum of Art School, opened in 1990 in the historic Linekona building, is the hub of the Honolulu Museum of Art's arts education programming. Education was the driving force behind the founding of the museum, and the museum has offered classes and tours since it opened in 1927. Today, the Art School reaches approximately 60,000 children and adults each year through studio art classes, workshops with visiting artists, school programs, outreach programs, and exhibitions. 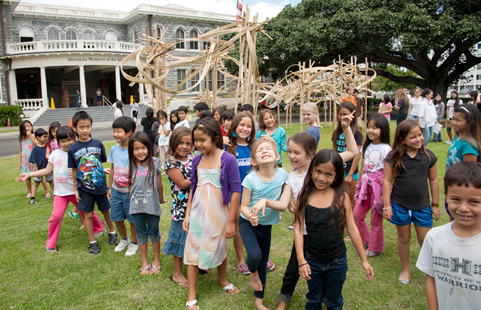 Honolulu Museum of Art (HoMA) seeks proposals for its community-inspired exhibition program at the HoMA School Gallery. HoMA welcomes incisive, surprising, creative, and rigorous exhibition proposals organized by community stakeholders that will enliven the arts corridor of Honolulu. The HoMA School Gallery exhibition program supports Hawaiʻi’s vibrant art scene by partnering with community stakeholders in the presentation of four group exhibitions per year (this constitutes roughly half of the exhibition time available per year). Each exhibition will fill the HoMA School 3,400 square foot gallery in the historic building formerly known as Linekona. With classes and programs offered daily, the building welcomes tens of thousands of visitors each year, making the gallery a dynamic place for exhibitions, artist talks, and workshops. Questions may be directed to HoMA School Exhibition Manager after November 15th, 2018, at gallerymanager@honolulumuseum.org.